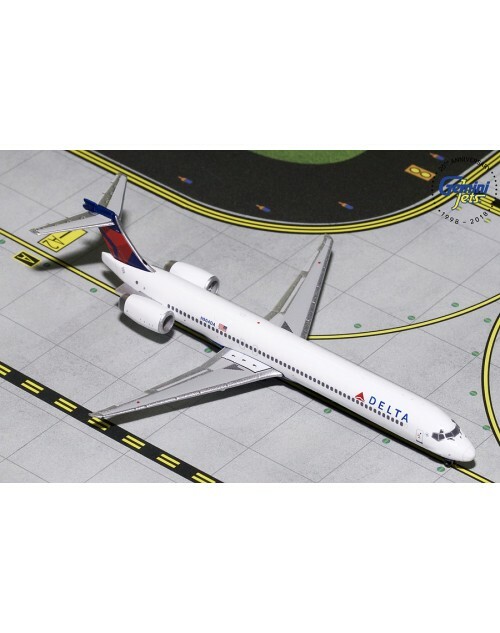 1/400 scale die cast Gemini Jets Delta McD Douglas MD-90-30 with current color scheme. Registration: N904DA, msn: 53384, line no: 2096. Item no: GJDAL1798. Released in January 2019. Dimensions: Length: 4 1/2 inches (12 cms), Wingspan: 3 3/16 inches (8.2 cms).